You probably know what a board portal is. You know that paper is heavy and hackers are scary, and by now you probably know there are multiple vendors that you have to choose between. You may not realise that with the right features, a board can improve governance and efficiency while collaborating in a secure setting. For private, public, not-for-profit, and government boards alike, finding an app that excels across a number of areas will lead to better electronic security and a more productive board. 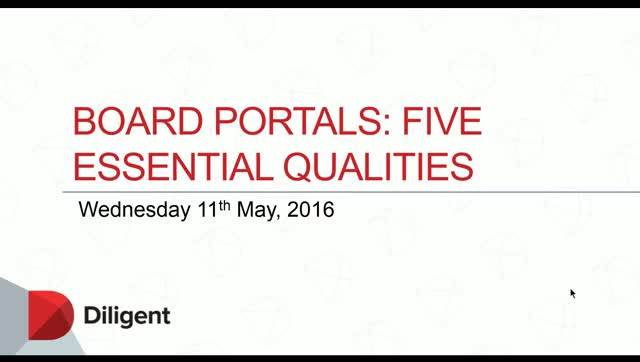 In this session you’ll learn the most important questions to ask during your search for a board portal, divided into five essential categories. Each webinar in our series is only 30 minutes long and is packed full with information on how to make your job easier and your board members happier.